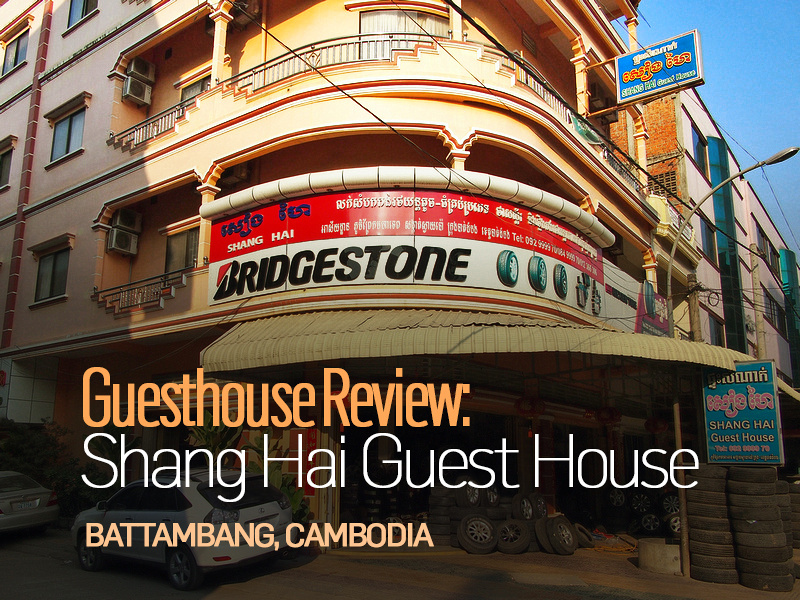 I stayed at the Shang Hai Guest House in Battambang, Cambodia. I booked online for the rate of $5.75 USD per night and I booked it for its price and location. Having stayed in Phnom Penh and Siem Reap the previous week it was surprising to see how much better value Battambang is. I wasn’t sure what to expect at this price but the hotel/guesthouse was surprisingly nice. The guesthouse shares the same building as a tyre shop but it wasn’t a workshop so don’t worry about the outside appearance. It’s about ten minutes walk from the historic colonial area by the river. It’s an easily walkable city and there is also an interesting market near the hotel. I got a double room with fan and private bathroom. The bed was comfortable and came with a top sheet and blanket, not that you need the blanket in this city. The towel was a bit odd though, made of some non-absorbent fabric, but I didn’t use my own travel towel. 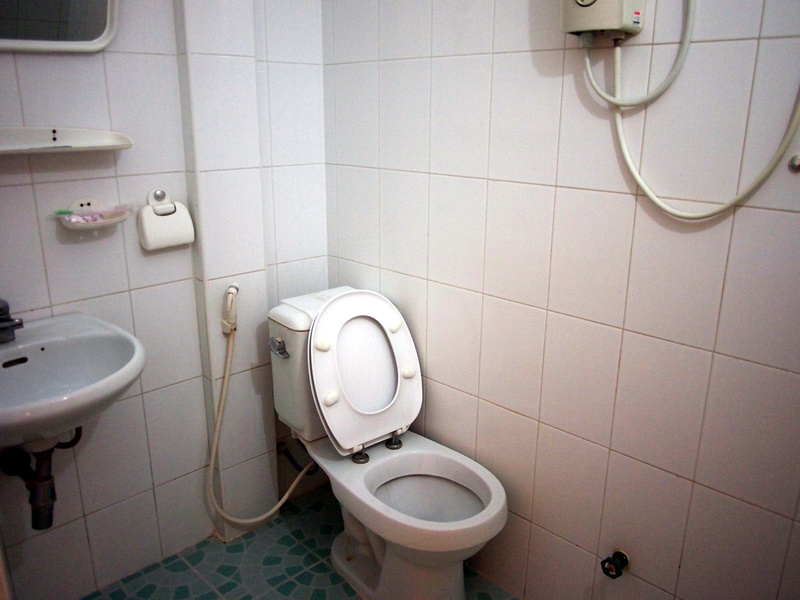 The toilet was clean and bright, though the toilet was oddly placed, being right next to the wall. I had to sit at an angle to fit. Maybe the builders drilled the hole in the floor too close and they left it at that. I had connection to wifi in my room which was good enough to surf but I couldn’t use it for Skype. Overall it was a good place to stay and great value for money. 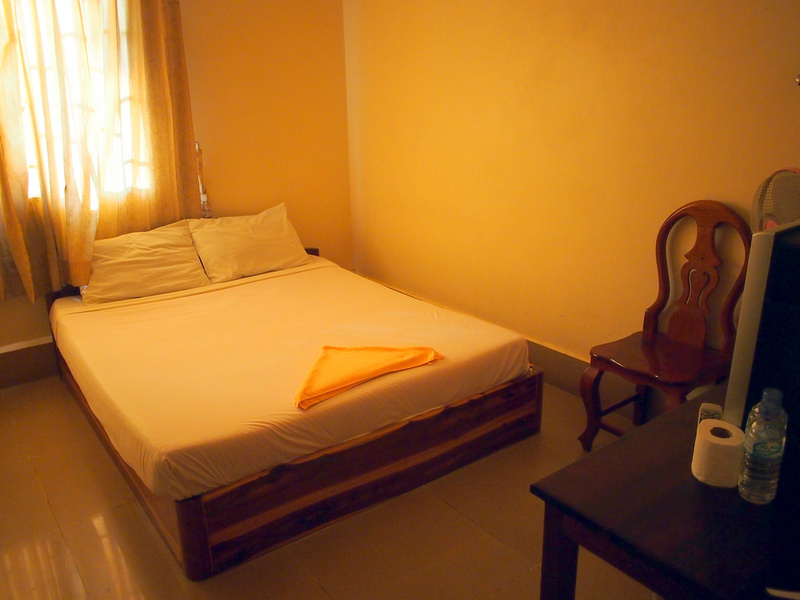 Book the Shang Hai Guest House online or search for more hotels in Battambang.